Just like the demise of the 700MHz band a few years ago, the 600MHz band is also leaving us. Churches across the US are stuck in a place of having to once again replace many of their wireless systems for units that operate in an acceptable part of the spectrum. The good news: rebates are available for new wireless systems from Shure, Sennheiser, and Audio Technica, depending on the product being traded-in. Stark Raving Solutions is here to help! 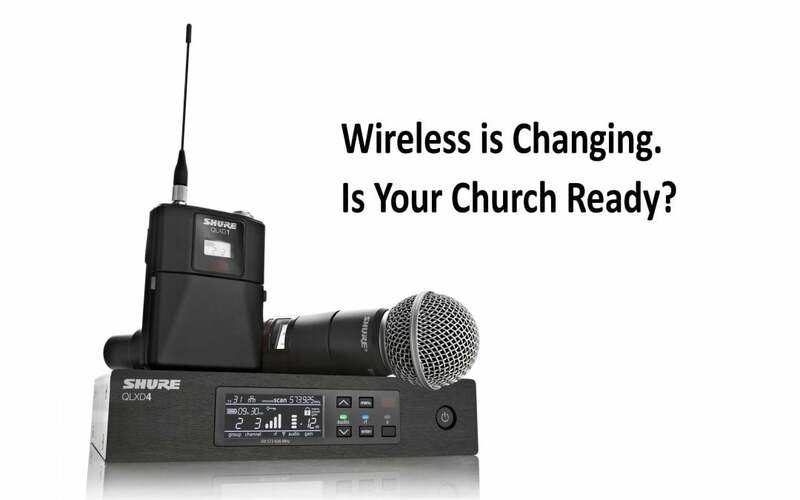 If we can be a resource for your church to help weather the wireless microphone storm, please CONTACT US today and we’ll be glad to help make sure your church is in compliance.